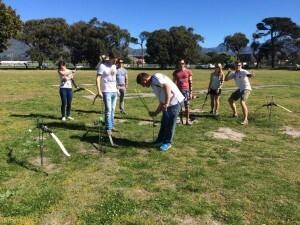 Here’s something I bet you weren’t expecting – Hone in on your skills at a day of archery in Tokai. I must say, it was very ‘Hunger Game’s and I definitely re-enacted Catnis on more than one occasion. 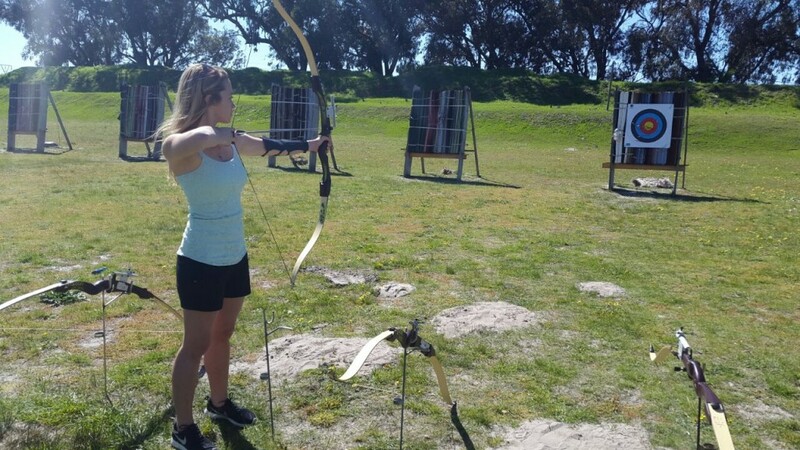 Side plait perfected and bow in hand, I proceeded to make a complete fool of myself as I aimed for the target only a few feet away. It’s harder than it looks I promise. Quite a long briefing, but probably necessary since we could injure ourselves and with my co-ordination, could quite easily take out an eye. 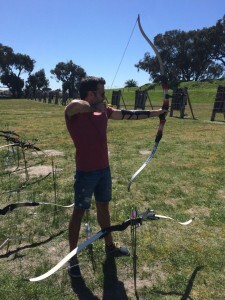 I don’t think our coach was too happy with the numerous jokes and Hunger Games puns – he took his job pretty seriously. When we looked how close we were standing to the target, we kinda laughed and wanted to move further back, but were soon surprised at the difficulty of this game. Catnis made it look pretty easy, but there is so much to remember when shooting that it definitely does take some practice. We spent almost 2 hours honing our skills before we decided to battle each other. About 10 people, it was each to their own. We did knock out rounds until there was only 1 – the best of the best! Also happened to be the person who organised the day, so I’m wondering if he went there to practice beforehand. I have one last point to make, this is categorised as a sport, and it is extremely tiring! You use all your back muscles every time you draw your bow and I was surprised how exhausted I was at the end of it, not to mention stiff the next day! 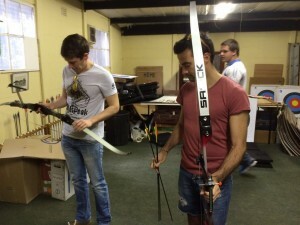 This all happens at the Protea Archery Club, one of the largest and oldest archery clubs in SA. Okay that’s all from me… I think this is a great activity to do this summer, for all ages. 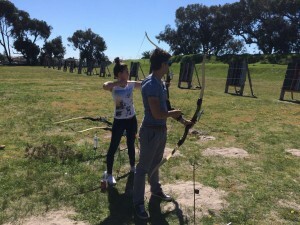 It’s interactive, competitively fun, active, and above all, it involves learning something new.